In characteristically vigorous language, the head of the Russian Orthodox Church, Patriarch Kirill, has blasted gays, describing their behavior as symptomatic of the end of the world and a contributing factor in the downfall of societies. According to polls, 58% of Russians believe that homosexuality is wrong and should be criminalized. In keeping with this, Russia’s leader, Vladimir Putin, has cracked down on gay behavior, passing several laws against it. On July 3, it became illegal for Russian-born children to be adopted by gay couples, or by anyone living in countries that allow gay marriage. Another recent ruling has made it a crime to promote gay lifestyles and engage in “propaganda of non-traditional sexual relations.” Anyone guilty of pro-gay propaganda will be liable to a fine of up to 5,000 roubles for an individual and 1 million roubles for an organization. The Washington Post described Putin’s anti-gay stance as “medieval” and “part and parcel of his lapse into xenophobia, religious chauvinism and general intolerance.” President Obama also reacted strongly. While the U.S. President stopped short of withdrawing from Russia’s upcoming Winter Olympics, he stated that Russia would win more sporting events if it allowed more gay athletes. Some, such as the L.A. Times, suggest that Russia’s anti-homosexuality legislation amounts to the beginning of a new international conflict. Despite media and celebrity protest, none of the gay Western countries, such as England and America, show any sign of boycotting the 2014 Olympics. David Cameron, England’s Prime Minister, explained the reason for this in a Twitter message to Stephen Fry, who is famous for being gay and an actor. Regardless of these threats, Russia remains firmly behind its new Church-backed family values legislation and threatens to arrest anyone making a gay disturbance at the Olympic Games. “Law enforcement agencies can have no qualms with people who harbour a non-traditional sexual orientation so long as they do not promote homosexuality to minors, do not conduct any kind of provocation and take part in the Olympics peacefully,” stated a spokesman for Russia’s Interior Ministry. 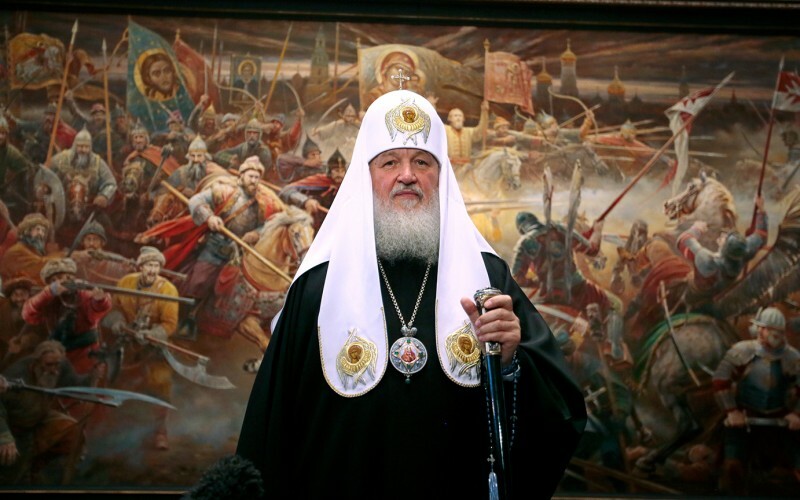 Patriarch Kirill shows no sign of backing down in the face of pro-gay pressure from the Western nations and Russian Orthodox clergy are in agreement. Parish priests like Sergei Sveshnikov believe with Kirill that the gay movement is apocalyptic. Traditional Anglicanism is in agreement with Orthodoxy and Roman Catholicism, distinguishing it from denominations like The Episcopal Church, the Evangelical Lutheran Church of America, and the Presbyterian Church of the United States of America.